lol, the shorts are funny. thank you for commenting. Yes, i’ll ‘see’ you there! thnx for taking time to read. I loved this post, it’s so inspiring. 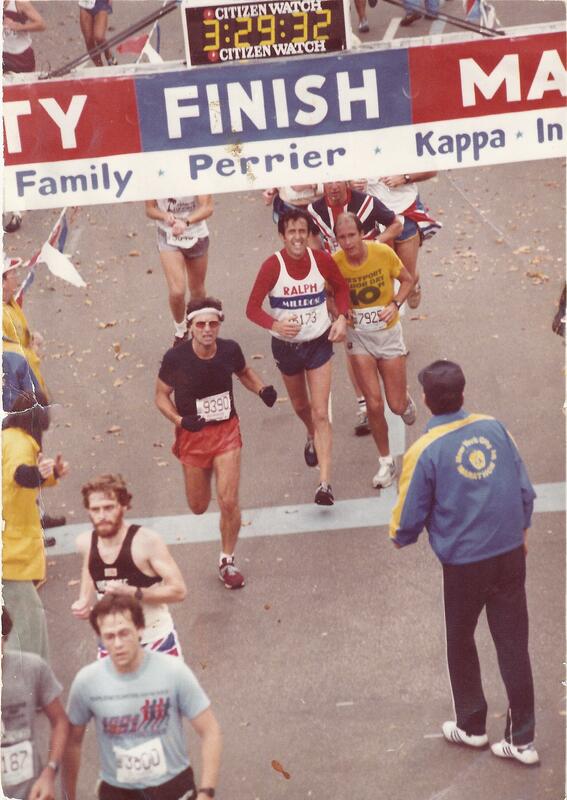 It’s so crazy to think how small the NYCM used to be! Good luck to you and all of your running endeavors! good luck – it’s a great experience. Congratulations! The NYC Marathon is definitely one of the best days of the year for the city and I am sure you will have an incredible experience. Great vintage shots! I love these “Time Travel” posts! Good luck!! I look forward to reading about your progress! What a lovely story. The warmth of the family running pedigree is a far cry from stories such as that of Rosie Ruiz’s quest to run for fame or another’s for supremacy at the office water cooler..
Wow, a marathon is no easy feat. all the very best for the marathon.. I too would be running my first this year.. not the full though, I still feel half would be good to start off with.. I am sure the poster in your girl’s bedroom would be awessoommee.. It is a goal of mine to run a marathon. I consider myself a beginner runner but I’m going to train to run a half-marathon this summer. I’m very impressed with what your dad accomplished! This was a fun read, thanks for posting! Best of luck in November. That was so heartwarming to read. I hope you do great in the NYC marathon in the years to come. This post made me smile – the love for your dad just shines through. A great family story and lessons learnt from generation to generation – thank you for sharing the memories and the experience! Nice post:). Running NYC will be an incredible experience!~ I ran it in 2011 and I can say it was one of the most amazing experiences of my life. I am happy that you are in and that you saw your Dad run. I am also pleased to here that he ran one at 67. I run NYC every 25 years. My first was a few years before your Dad (77 or 78 don’t recall). 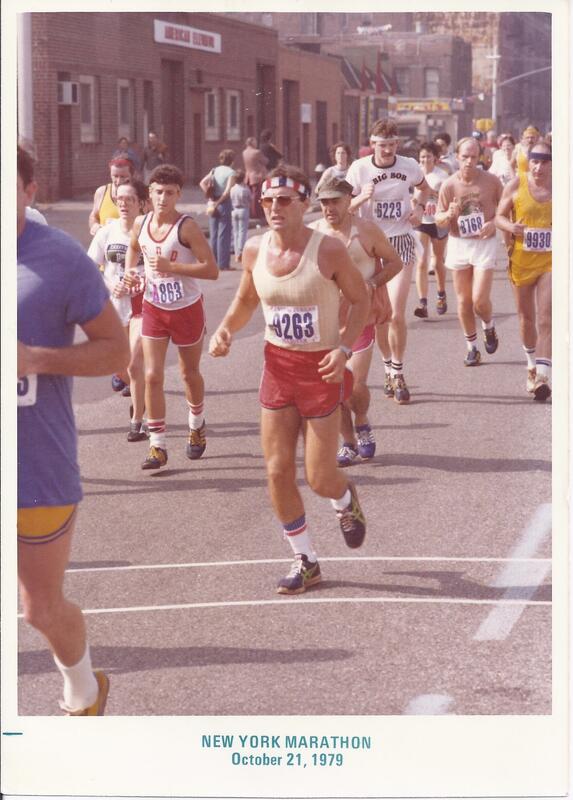 When I ran it 25 years later the size of the field and the wait at Staten Island was hard to get used to. Being older, the smell of food running up 1st ave made me want to take a seat at a cafe. I wanted my son to watch me run that race as he never saw me run and I wanted him to understand following through no matter what the obstacles. I had ITB and hip tendonitis on both legs and for the first time in my life I had to walk part of the race. I knew approximately where he and his Mom would be in Central Park, so for a mile and a half in great pain I continued to run. He and his Mom thought I was injured because I was behind my projected time which is not usual for me. They went to find out if I had been reported injured and both missed me. They will hopefully have another chance in 15 years when I try again. The good news is that he learned the lesson without me, as he became All NYC PSAL in soccer. The other good news is that you saw your Dad. I am sure it means a lot to him. One pointer if you don’t mind. Along the route you will see some child with his hand up to be high fived. Unfortunately, he or she will have been missed and will look disappointed. If you can, make your way over and give a high five- the smile is worth the trip. Thank you for sharing your story with me and especially for that wonderful tip about high-fiving the child! It brought tears to my eyes. 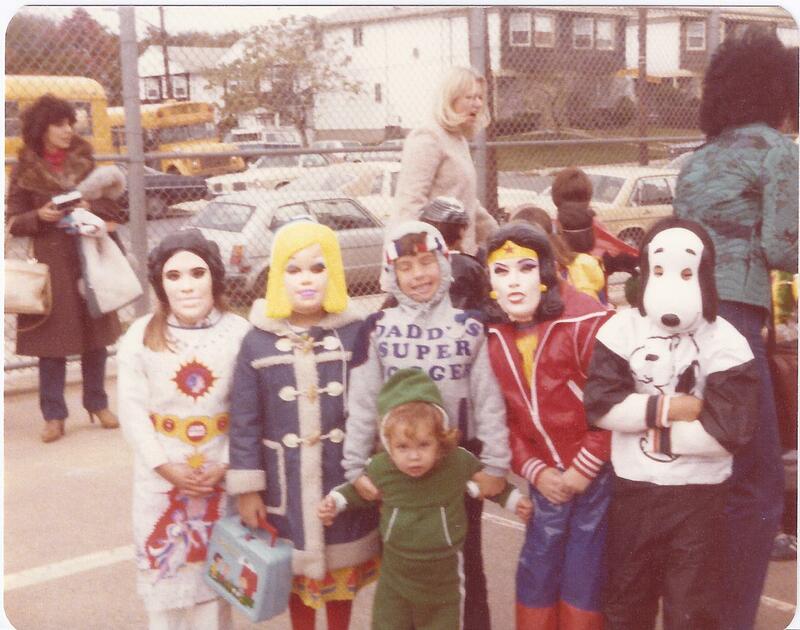 I too remember being that child hoping someone would grab an orange from me or give me a high-five. Good luck to you too! I couldn’t make it to the finish so snaps to anyone who does! Awesome post….I was also accepted for this year. I’ll see you out there! Having just started running at the age of 37 and planning to run my first half marathon this year, I LOVE this post. Very inspiring and makes me think that one day my kids will be inspired to run because of memories of me. Thanks for sharing this! Great post! Good luck with the training and prep!! How beautiful and nostalgic! Please think about making this into a novel or autobiography! It would fly off of the shelves! Congratulations on getting accepted, especially with such a lovely legacy your dad has started. I did my first marathon back in November and it was an incredible experience. You can do it!!! As a father I found this to be such a wonderful piece. Thank you and all the best. Enjoy your race. this pagee is very good very nice…..!!! Very touching story. Best of luck in the coming year. Nice story and good luck in the race! Great story! Thanks for sharing. I put my application is and after reading your post, it makes me want to run it even more. Best of luck to you!! My dad is my best friend and this story struck a nerve with me. I loved seeing the pictures and the part about the oranges made me smile. Good luck to you!!! You can do it and I’ll bet your dad will be so proud not to mention how I imagine it will feel to cross over the finish line that your dad has done so many times before. Best of luck in your running career…The more you get into it the better..I started getting better when I began to study all the college cross country teams from NAIA to Division 1 NCAA. When it was just a “saturday thing” like most weekend runners, the running wasn’t nearly as satisfying. 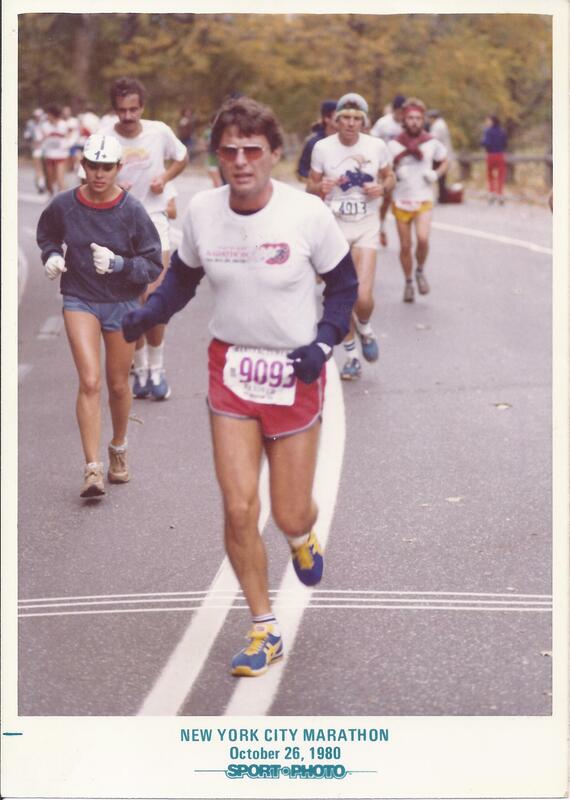 I was never a good marathoner, but wasn’t bad at the road “middle distances” and when I began to search around and find open cross country meets held on college and high school courses, my love the sport grew exponentially. READ! about the sport as much as you can and that will be the shine on the blade of your training..and most of all GOOD LUCK! A marathon is not an easy race but training for a marathon is even harder. Good luck! 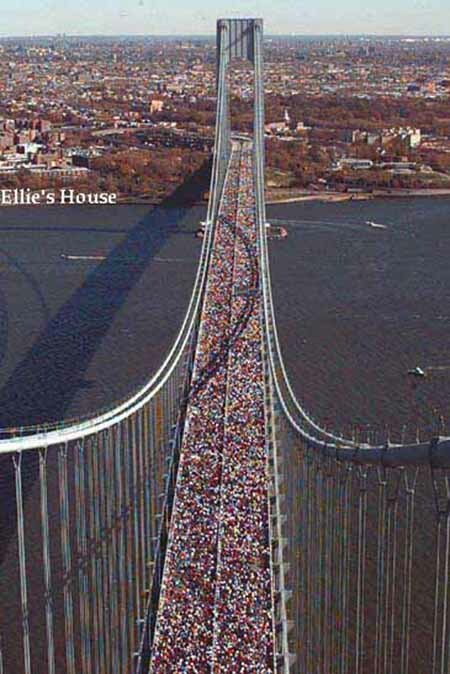 I came over from the UK to run the NYC Marathon in 2006, and i will be back again at some point to do it again. It was the best day of my life, and I still hold it up there! 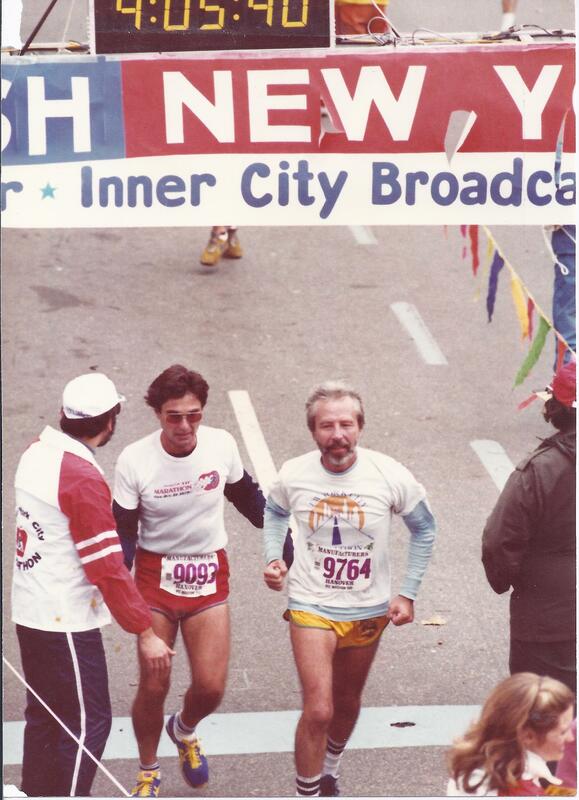 Nothing else has come close yet – and I met my partner thanks to that race. I hope you have a great time there – enjoy every minute! I love this post. I’ve just started running in races and of all things I started off my racing career with the Delhi Half Marathon. I became hooked after that though and am holding myself accountable to race at least one race every month. Your photos are awesome in this post. As silly as it is the best advice I’ve gotten for running is “Just never stop, don’t let your legs slow down”. What a great post! First — congrats on getting accepted to run the NY marathon. Second — congrats to you dad on his accomplishments. I just ran my first marathon this past October (wanted to run one before I turned 30). Best of luck on all your training runs! Congrats! Such inspiration. My husband and I are runners hoping the kids will catch the fever too. In my opinion, there is no greater feeling than finishing a big run and no greater community than runners! i so wish that i could get my hubs to jog with me. sometimes when i’m running, i daydream about him being there with me. he never wants to go though! boo. Awesome post and some amazing pictures! I especially like the aerial shot of the bridge. Running is such a wonderful thing, I would like to run a marathon some day as well! Great post. I am just getting back into running, and this was a great extra piece of motivation. I have 3 kids, and I hope they get to see me enjoying my progress and my races, and perhaps find a desire to be more mobile. Congrats on being freshly pressed, and I will certainly be following along with your journey. As a 35 year old distance runner looking to get back into the marathon distance I can only hope that my daughter has memories as fond as yours of freezing her tail off while watching her daddy run marathons! You will do great in your first marathon, just enjoy your training and enjoy yourself during the race. Nice job! I can’t even imagine doing a marathon. Good luck with it and congrats on FP. Happy running! The picture about the bridge is stunning! Great post. Did NYC in 2000 with my now wife. Doing Edinburgh marathon in Scotland this spring. Not nearly as glamorous but still looking forward to it and telling the story on my own pages. 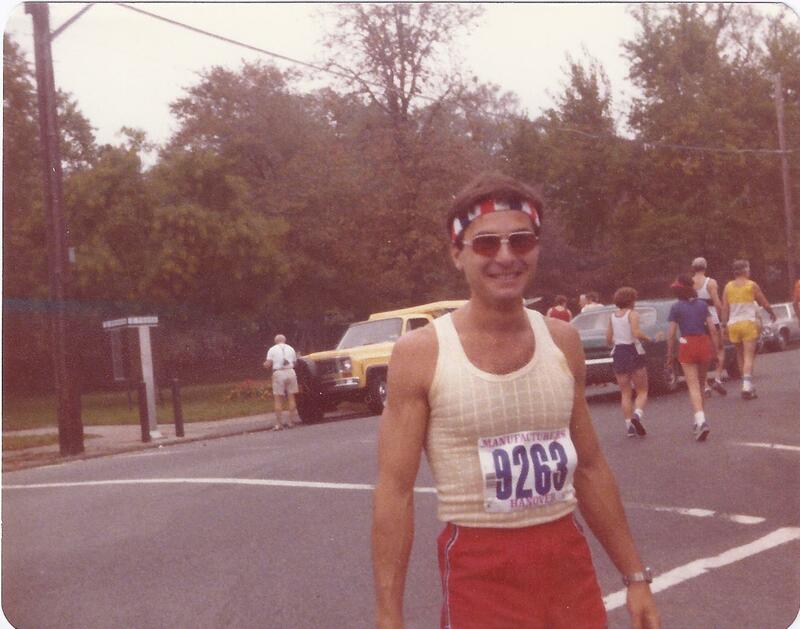 My own dad has inspired me to start running, and we will be doing a 1/2 marathon together in April. Best of luck to you as you train and cross the finish line. thank you, good luck to you and your dad too. have fun. I got misty-eyed reading this. What an awesome, lovely, heartfelt post. And those 70’s pics of your dad are SUCH a treasure. In my early 20’s I messed around with triathlons for a bit. I tried training for a marathon while I was in great shape, and I broke my leg – well, stress fracture, anyways. Thank you so much for taking time to share and leave such a positive comment. All i can say is that if I can do it, you can too. Good luck! Thank you so much! And for coming over to say hi to my blog, YOU ROCK!!! that’s a lovely phrase. thank you! Cool, let us know how you get on! Always a fan of people testing their limits. We wish the best to all who do! What an amazing story!! So inspiring and makes me want to jump out of my office desk and hit the pavement!! ha, that’s so wonderful to hear. go for it! Best of luck to you! I ran my first marathon in October and while I was running I knew I’d do it again. Would love to do the NYC one. Some day! Until then I’ve signed up for the Loch Ness one again. very nice, Loch ness sounds cool! thnx for posting. That is cool that you will be able to see so many of the sites along the route that he saw years ago…but it’ll be a bit different! I am doing the half in March, running in NYC will be quite a trip!! good luck! You know, I am so glad I found your blog today. Last week or two weeks ago, not sure I read a post in Stride&Joy about committing to run 52 organized races this year. That inspired me to try a humbler goal of just going out to jog every Saturday. Tomorrow is Saturday for me. In my mind I was hearing the usual “I’m too tired”, “maybe I should skip it”, “I’ve drank coffee, I will probably not sleep well and will be tired or wake up late tomorrow”, etc. Now I find your post. I will keep my jogging commitment for this Saturday. Thank you so much! Yes!! I am so touched to know my post inspires you to do your Sat run. I am going for a run tomorrow too. Remember, despite excuses you will definitely feel amazing after u do! Have a great run! That too reminds me of my dad! Very motivational ! I hope to finish my first marathon this year. Marathon of Brussels. that sounds wonderful! happy training. Also had ambitions for the longest time, but…..
Well when you have reached your goal, may I suggest that you then finish and seal your accomplishments by running the MOTHER OF ALL MARATHONS. I have just blogged about it, you can take a look and see if you think you could make that the final goal. thnx for sharing. sounds pretty amazing! however, if i were to ever kick things up to that level, i would never view it as a final goal…just another goal. i mean, after a race of such extreme endurance, how could one not want more and more and more? I will be joining you there! thats such a great memory. good luck! !